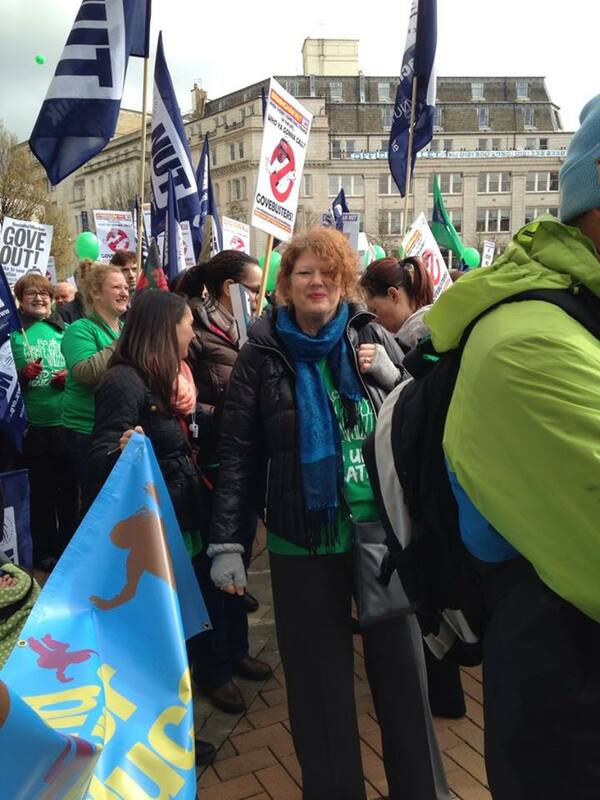 On the 26th March 2014, NUT members nationwide took industrial action. 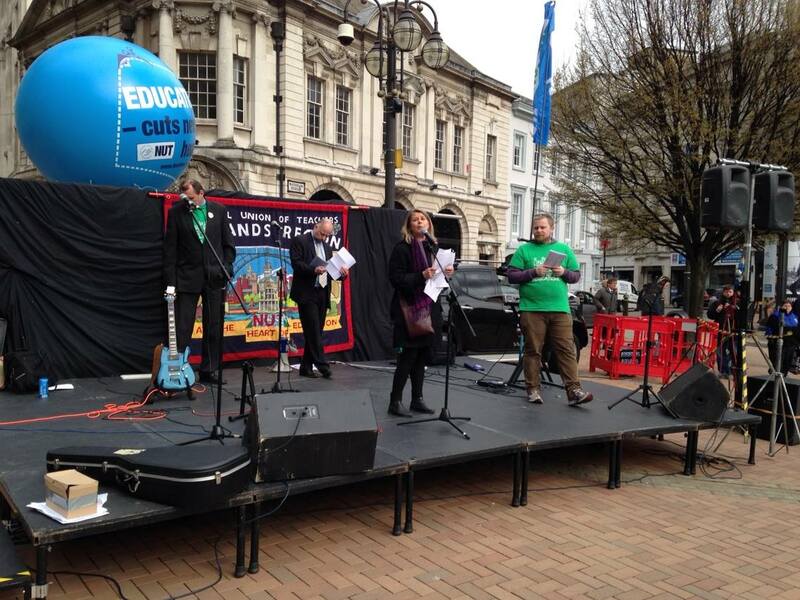 Around 800+ teachers rallied in Birmingham outside the town hall, in opposition to Michael Gove’s ongoing attacks to the education system. The third national strike since 2011 regarding ongoing issues over pensions, performance related pay and workload bureaucracy saw over 200 schools across Birmingham and the West Midlands affected. Cries of “3-5-7-9′ we won’t work till 69” and “Gove-busters” gave the overall protest an energetic atmosphere. 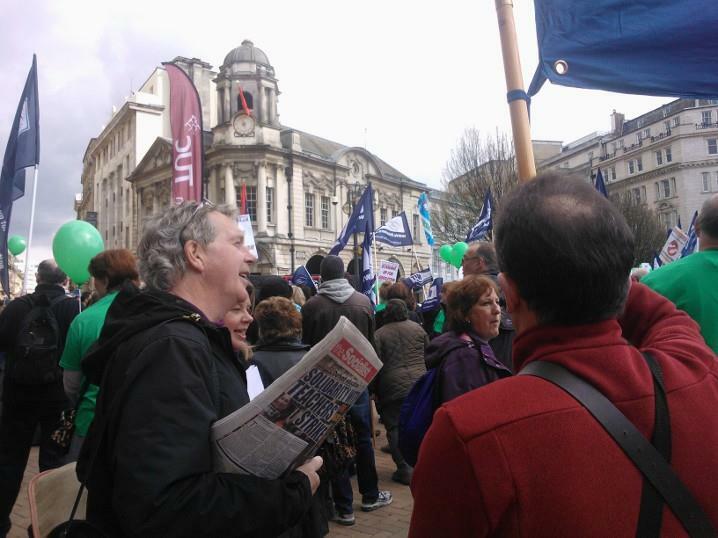 The rally was followed by a short march through Birmingham City centre, which helped raise awareness of the demonstration and the demands of the teachers union. Upon returning to Victoria Square the Kevin Courtney Deputy General Secretary of the NUT gave a speech which condemned the education minister’s actions, but failed to link this to the wider struggle against austerity and the need to build, continue and co-ordinate further strike action against the Government. Marion Lloyd of the PCS NEC and member Socialist Party gave a resounding speech to much applause in which she challenged the crowd to answer the simple yet relieving question “what is the point of Labour?” that left many stumped. Marion went to raise the need for a 24 hr general strike to bring down the ConDems and the need for a Socialist Alternative to the failing capitalist system. While schools Minster David Laws heralded the strike as “totally unnecessary and wrong” many people were in support of the teachers with messages of support from around the country and teachers unions abroad being read out. Socialist party members and teachers call for further co-ordinated strike action in order to successfully build opposition to these ongoing and outrageous attacks on our education system.